I wish I could say it’s a bright sunny day here in the CA, but nooo we have some of those “April showers” going on, boooo! Maybe today’s post will brighten up the day though! Diamond Cosmetics has a new spring collection out and it’s pretty nice, if I do say so myself. There are six colors in the collection that are mainly variations of blues/pinks and oranges. The formula was pretty great on all, with a couple small exceptions noted below. Serendipity, along with it being my favorite word, it’s a beautiful pale baby blue with silver shimmer. I knew I would like this one the second I saw the bottle and I really do. It’s not like other baby blues I already own, and it’s nice and opaque in just two coats. Tranquility is a light blue robin’s egg creme. This is not a mint green and not a Tiffany blue color, which I am glad about because we have plenty of those. In fact they already did a fabulous Tiffany blue called Oh, Tiff! which is more green than this. This polish was a little thick and harder to work with than the others. I used two coats for full coverage, though I think if you were careful you could get away with one. Orange Blush is a pale pinkish/orange sheer. This isn’t my favorite color on me and I’m not loving the sheer application, personally. This was three coats and you can still see VNL. Razzmatazz is a medium pink with a heavy blue/purple flash. Totally shimmery and gorgeous, I didn’t expect to love this as much as I did! It’s just so pretty! With this one I made the mistake of not letting it dry long enough in-between coats so I got that clumping issue going on at the tips. I suggest waiting 3-4 minutes in-between coats so this doesn’t happen to you. This was two coats. Gypsy Pink is a reddish/pink with silver shimmer. This is another one I totally didn’t expect to like, but wound up loving it on me. It’s the cherry red color that I am most drawn to, and it’s super shimmery in real life. This was two coats. Hot Lips is a bright pink creme (not neon). It’s ok, but I’m not falling over myself about this one. I have quite a few other colors like this. It does go on a bit sheer, I have two coats on here and you can still see the VNL. Overall I really liked most of this collection and it feels very spring-like to me. You might not know this but Diamond Cosmetics polishes are very inexpensive; these come in at only $2.25 per bottle! Considering how awesome the formula is, it’s a really great deal. You can find these now at their website here. How are we feeling about this collection folks? Zoya Bela Nail Lacquer Swatch and Giveaway! Oooooh I’m in love with Serendipity! So perfect! I was actually looking for a robin egg’s blue creme in my stash last night & I couldn’t find one. I’m getting Tranquility! Orange Blush is calling to me, too – like a summer version of Tart Deco. I can’t wait for warmer weather! .-= Phyrra´s last blog ..Inspired Teal Look =-. Yes I was really surprised I liked it on me. It looked so boring in the bottle. Delicious! These are great. Makes me want to eat a popsicle! Bring on summer. Are these only available on-line? I like Razzmatazz & Orange Blush the best. I really like serendipity and tranquility…they are stunning and are the true “stand outs” to me :)..but then again, I’m a sucker for blues! Yep me too, I rarely meet a blue I don’t like! Serendipity looks great but the rest are nothing special to me. Gypsy Pink is kinda cute though. I didn’t know Diamond was so cheap…I’m looking for more inexpensive polish brands. Yes Diamond has some really great colors and they are very inexpensive. WOW This is a gorgeous collection. I love both of those blue hues! So pretty! I wish they sold this brand in Canada! .-= nihrida´s last blog ..Caronia – Touch of Tan =-. I love gypsy pink, it’s so bold! .-= Michèle (Lacquerized. )´s last blog ..American Apparel – Hunter =-. I like the first two colors the most. .-= marisol´s last blog ..Liberty of London haul =-. These all look amazing on your nails. What surprised me is that I’m not usually wowed by pinks, but that first one is one I can see myself wearing. .-= Glockoma´s last blog ..Death Is a New Day =-. I know right? Same with me that pink is so pretty! Damn it you make everything look good! Now I want almost all of these. .-= Arrianne´s last blog ..China Glaze Cowgirl Up =-. I like the pinks. $2.25 certainly is good value! .-= Rosered´s last blog ..Think And Grow Rich Mindset Mastery =-. 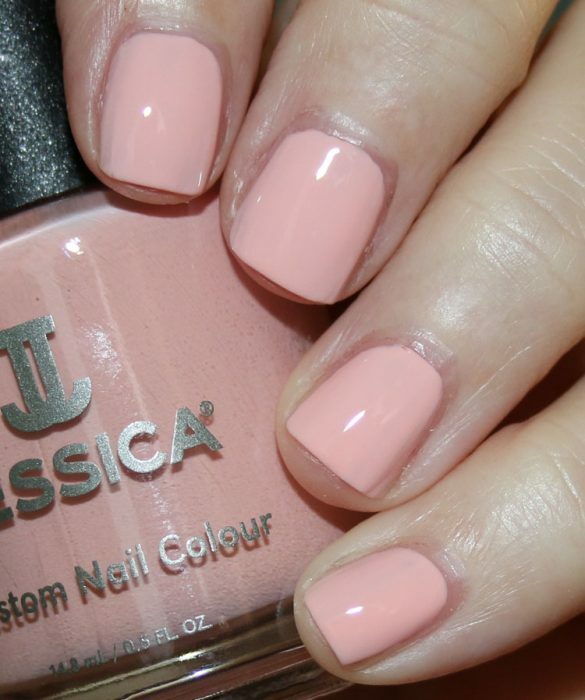 Tranqulility is my cup of tea… perfect shade for Easter! How do you think Serendipity compares with Orly Pixie Dust? Much as I like the colour, I don’t think I could bring myself to buy a polish called Hot Lips! Serendipity is gorgeous – I love it. .-= Helen´s last blog ..OPI Catherine The Grape =-.